Boise River Fence was contacted by a large developer with a unique situation. 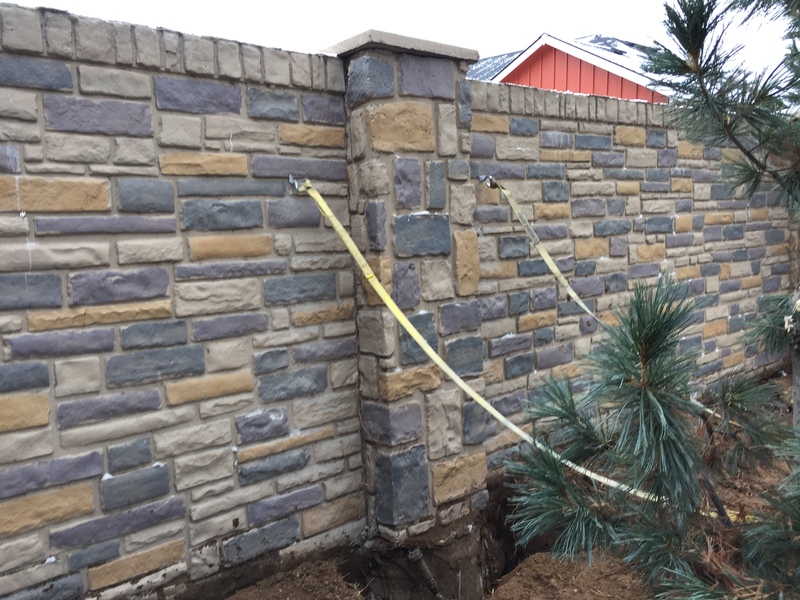 They had installed a big heavy concrete fence/wall years ago during the subdivision development and recently over time, the wall had begun to tip and lean towards several dwellings which were sitting below the structure next to a substantial retaining wall. This created a serious possible future hazard for the residents. The developer had contacted multiple contractors before us and none of them seem to be able to think of a solution to repair and stabilize. 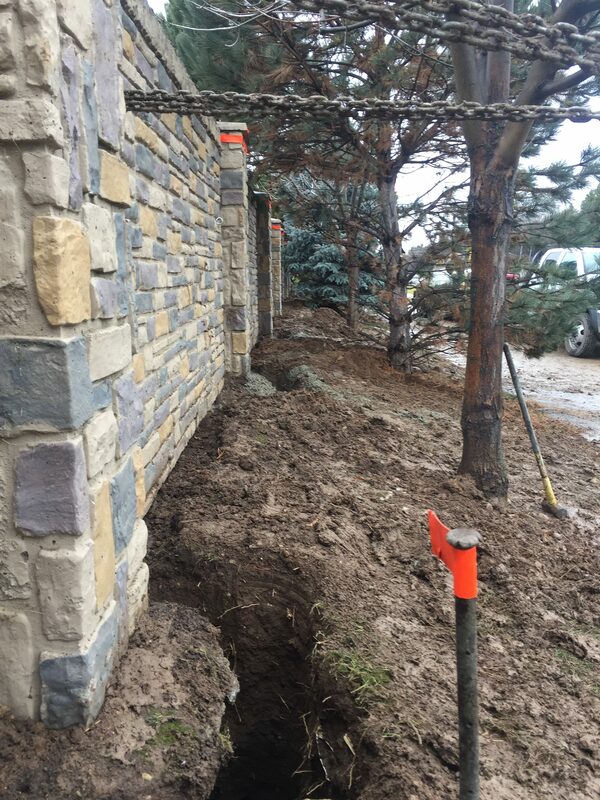 Since the retaining wall and structures were so close and behind the wall, the only logical way to repair was to work from the front side of the wall. We knew going into this project that it would require some of our equipment and a lot of hard work. 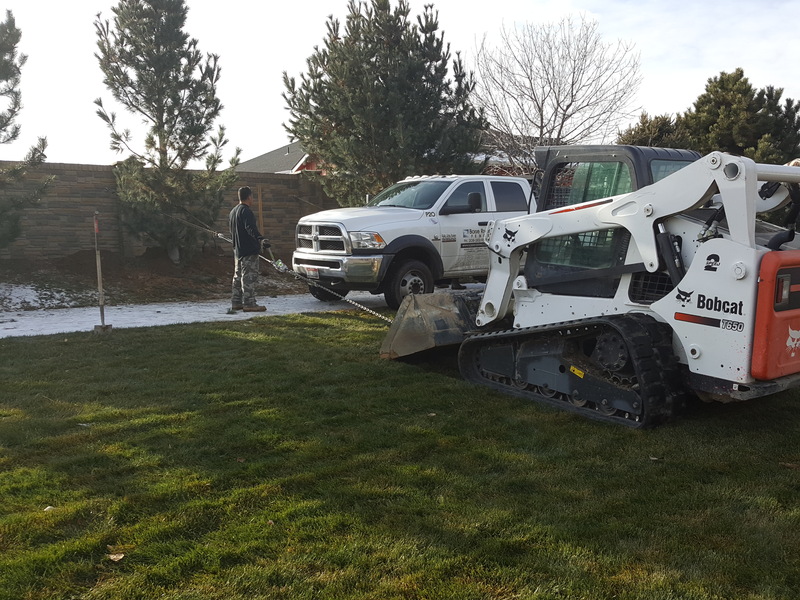 We started with a small crew and one skid steer to test a couple sections of the fence. 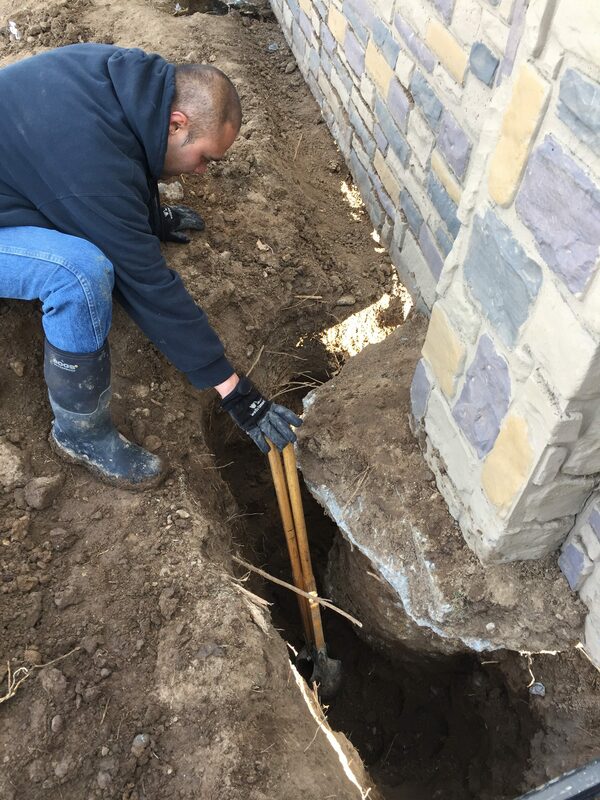 One thing no one knew for certain, was whether the posts had moved on top of the very deep and heavy footings (approximately 30″ diameter and 60″ deep). Hand digging around those giant footing was our first procedure. Drilling anchors thru the wall in multiple places to chain our equipment up was the next move. 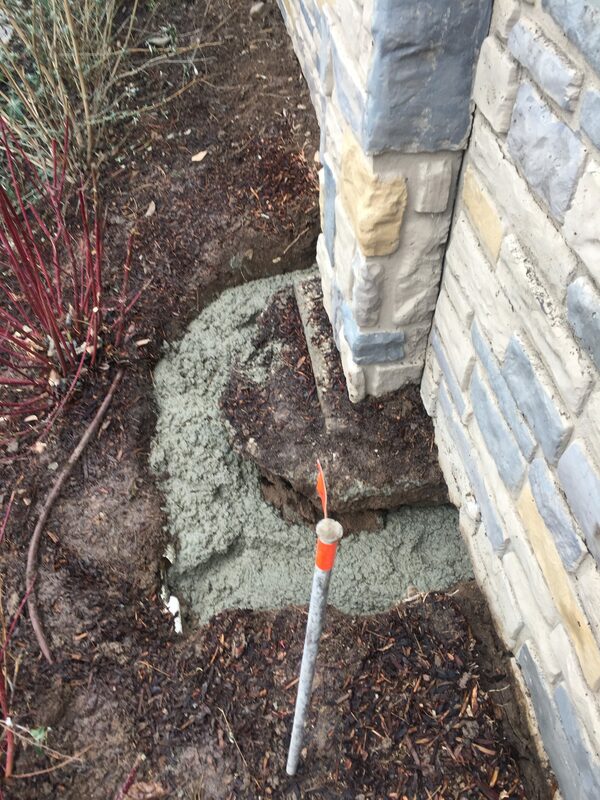 With some time and trial runs, we were finally able to pull our first full section back to plumb and stabilize it with additional concrete. Once we know our process was going to be successful, we diligently worked down the fence line in the locations that had failed and straighten the structure as we went. Yesterday we had a meeting with the developer and he was thrilled and relieved that this project complete and the liability was avoided. 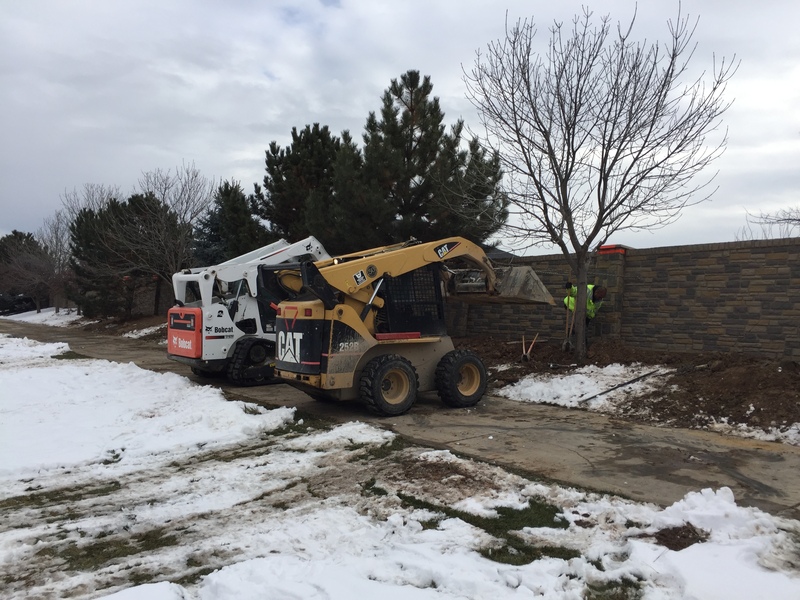 We are proud of this job because when no one else in town wanted or knew how to take on this challenging project we stepped up and solved a major problem, all while keeping our crews and the residents below safe.